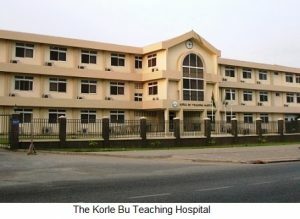 A former acting Chief Executive Officer of the Korle Bu Teaching Hospital, Dr. Afia Hesse, has dared managers of the hospital to sue her if they insist on recovering close to fifty-one thousand Ghana cedis paid to her. The amount was given to her with a VW Passat car as retirement package, allegedly, without the approval of the sector Minister and in contravention of the law. This is contained in the Auditor General’s report on Government Ministries, Departments and other agencies for 2016. PAC member, Ras Mubarak asked why Dr. Hesse was given the car and GHC 51,000 without the Minister of Health’s Kwaku Agyemang Manu’s approval. “According to the Auditor General, there have been some violations of Section 37 (6) of the Ghana Health Service Act 1996 and that has to do with the retirement package paid to the retiree. Why was an amount of GHC 51,96.74 paid to the retiree and the VW Passat without the approval of the Minister,” Mr. Mubarak said. In response to Mr, Mubarak, Chief Executive Officer of the Hospital, Dr. Daniel Asare, told the Public Accounts Committee (PAC) that the former acting Chief Executive has said she will only pay back the money if a court orders her to. The hospital’s management has also been indicted in the report for paying an amount of GH¢245, 277.00 as judgment debt to some 25 workers who were wrongly dismissed. The dismissal of the 25 workers resulted in the judgment debt after the workers went to court to contest their dismissal by the management of the Hospital. “We noted management paid a total amount of GH¢245, 277.00 as judgment debt to 25 employees of the hospital who were wrongly dismissed by the hospital board. Payment of judgment debt was an avoidable and wasteful expenditure which could have been utilised in the improvement of healthcare delivery at the hospital,” parts of the report read. The report also noted that since the judgment debt, management of hospital has established a legal unit headed by a competent lawyer, hence such decisions are now referred to the legal department for advice. The post Sue if my GHc51,000 retirement package was paid without approval – Former Korle Bu CEO appeared first on Citi Newsroom.